If you are planning to do paddle boarding in kauai, chances are you want to purchase or rent the SUP from a trusted shop. If you have been used to do this, you will probably know what kind of board that you need for this season. There are various types of SUP sold or rented in Kauai. This post will help you to find the most suitable paddle board for your upcoming trip. Whether you are a beginner or advanced users, you may want to check few things that we want to discuss. Choosing paddle board for paddle boarding in kauai starts with checking the SUP characteristics. First things first, you need to know what you are going to do with your board. Basically, there are 2 main types of hull: planing and displacement. Planing SUP is much flatter and wider. It provides more stability which makes it perfect for surfing, fishing, yoga, SUPing with pets, and recreational purposes. The Displacement SUP, on the other side, is like a V-shape boat. It is narrower and has a pointy nose, which makes it great for acceleration. It provides speed rather than stability. Thanks to that, it is perfect for touring, racing, and fitness purposes. So if you know the exact activity that you are about to do with the SUP, you will know what type of SUP you want to purchase or rent. 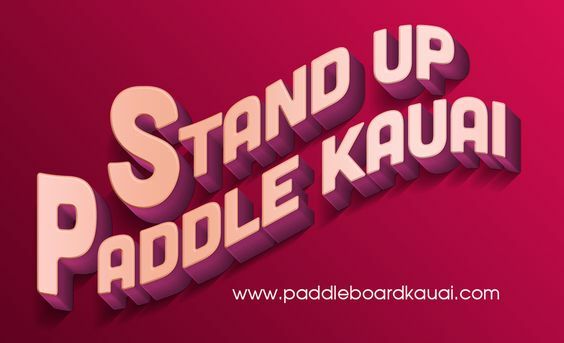 Then you could decide on how fast you want to ride your SUP in paddle boarding in kauai. The glide of your paddle board will depend on the width of the board. The narrower the board you choose, the more speed that you can attain, but less stability. In the opposite, you can attain more stability when choosing a wider board. Your weight and height will also dictate the size of the board. If you are a heavier person, consider high volume boards. Lower volume boards may get you in trouble when paddle boarding in kauai. Speaking of maneuverability, you will need to consider the length of the board. Longer boards are recommended for a quick tour in calm water in Kauai. If you are dealing with the waves, consider shorter boards. The shorter the board you choose, the easier you can maneuver the board. The next thing to consider is the fin setup. You may not be able to decide to use 5,4,3,2,1, or no fun at all. You could discuss this with the shop owner. He or she will give you the best recommendation. But for what we have learned so far, fewer fins can be supportive to use in flat and calmer water. More fins can be used for surfing purpose. If you are planning to catch the waves, use more fins. That’s it! At least you’ve known what crucial factors need to consider when purchasing or renting paddle boarding in kauai.